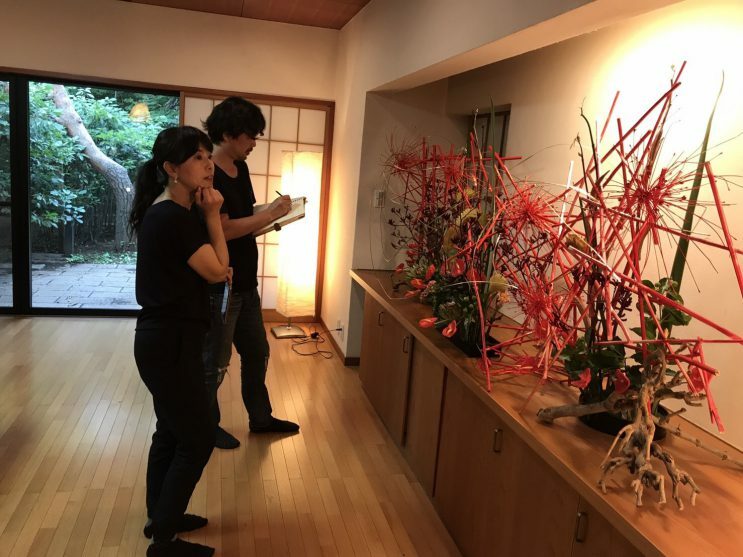 Finally the movie, “My Little Monster”, that I decorated the location setting with Ikebana will be released! 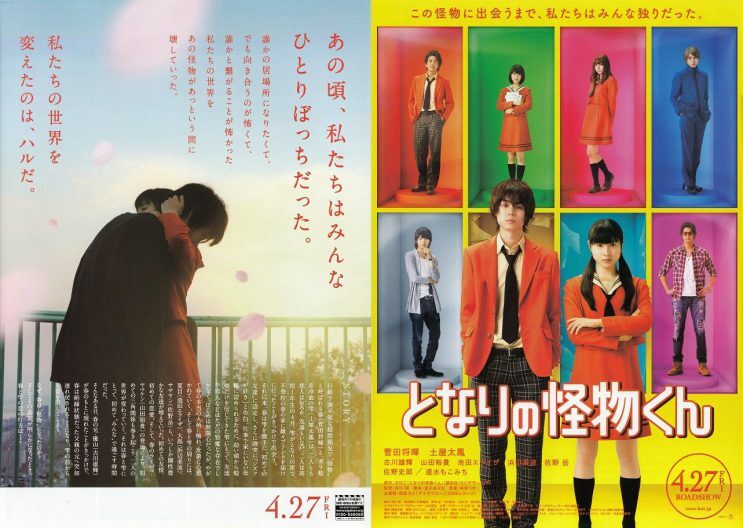 The main character, Haru, has trauma for his family home. His father is a famous politician with high career aspirations and when the father realized that Haru has a enormous high IQ, he was trying to exploit his son’s talent. 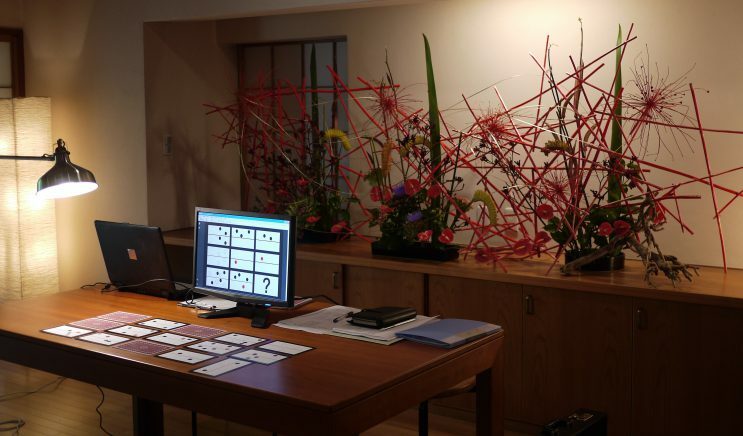 The director requested me to create an Ikebana that is scary and pull over people to the dark side. 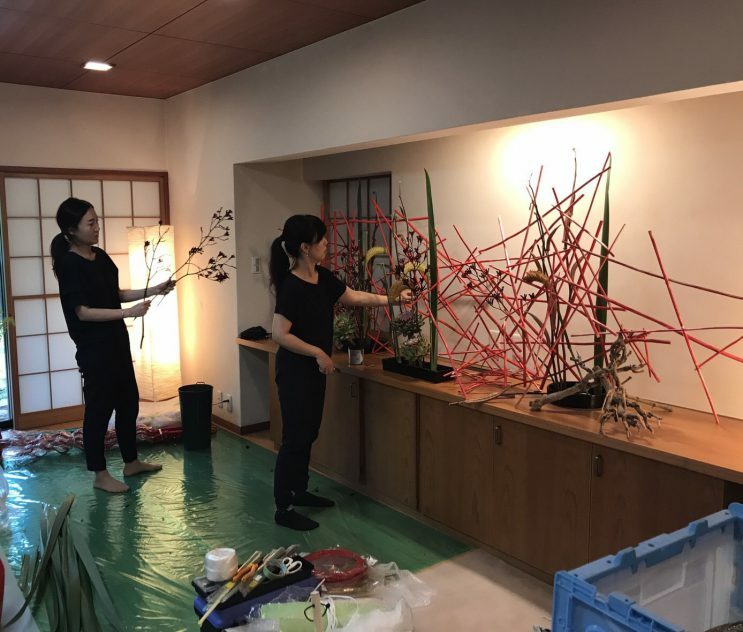 Ikebana can express negative aura as well as positive aura. Here is the photo of location setting. 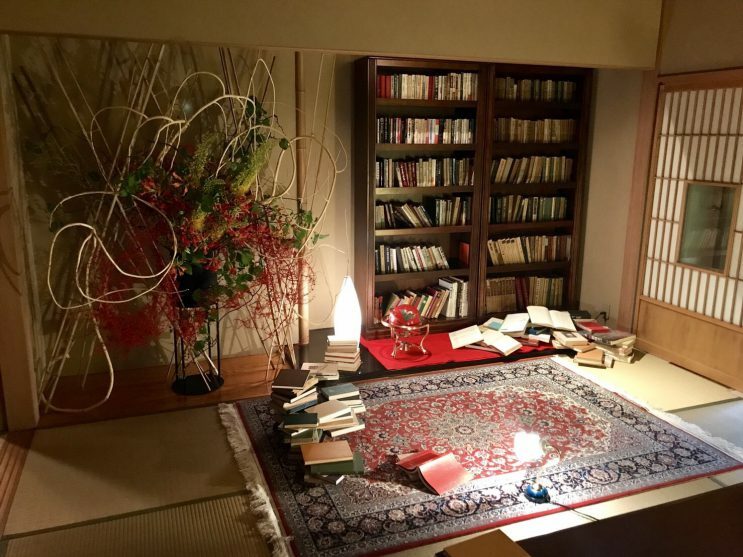 Haru, when he was 5 years old, is reading a lot of books in front of Ikebana. 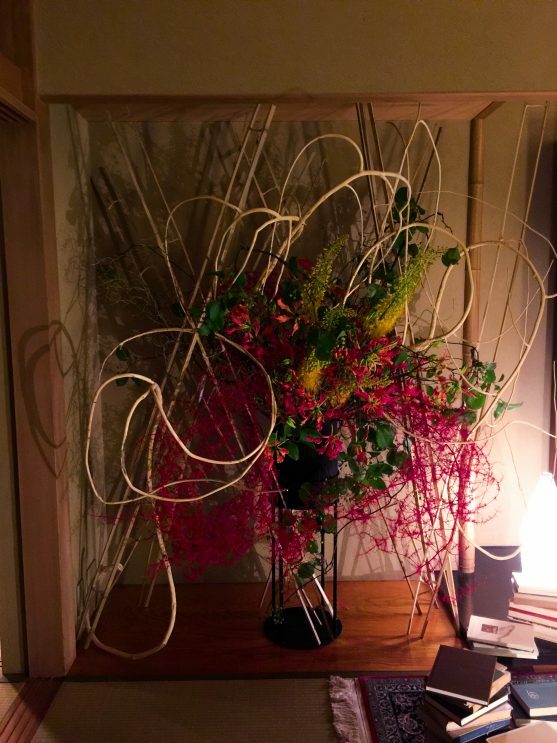 Ikebana looks like haunting a boy. 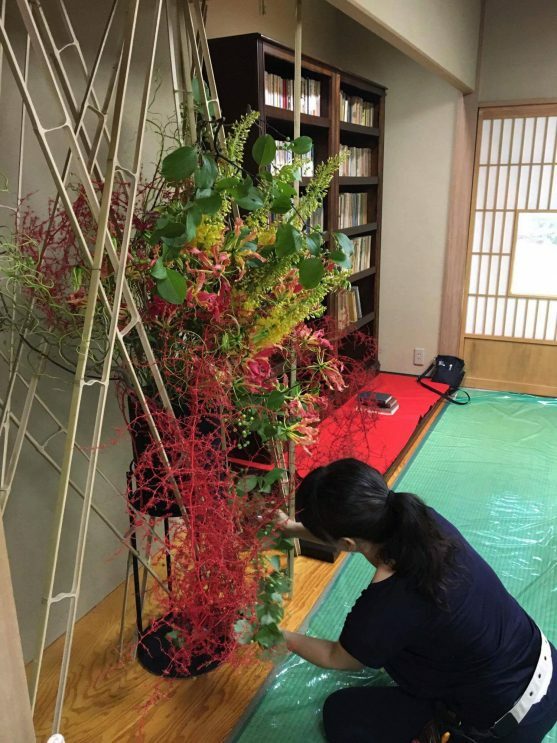 The red materials that looks like spreading vein is RUTOJI, a bleached painted branches. This scene is symbolic in that movie that Haru is forced to do a brain test to check his high IQ. A little bit making process is here. I’m discussing with an art director. The straight lines are OGARA, painted hemp stalk. 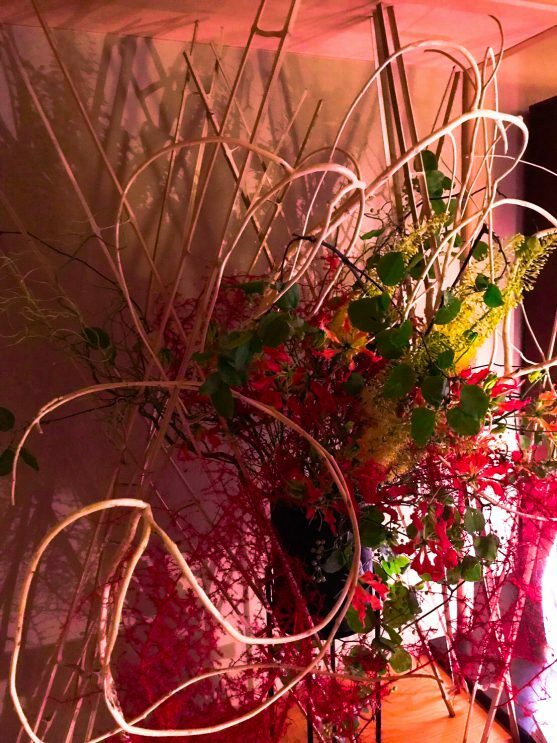 Red flower is glory lily and yellow one is Lupin. Looking forward to seeing you in a movie theatre!